By Jane C. Dizon R.N. The hCG diet is multi-phase plan known for its weight-loss benefits. It combines low calorie consumption with hormonal injections. It also includes an array of food restrictions. 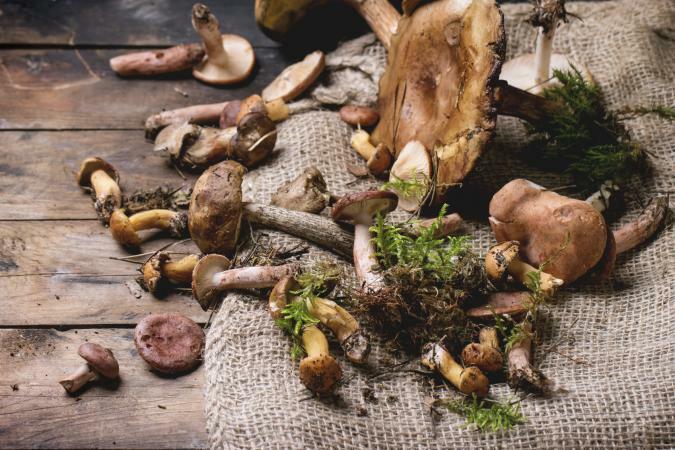 While there are obvious restrictions, such as fatty foods and those high in sugar content, there are also low-calorie foods that are prohibited on this diet, including mushrooms. The diet's creator, Dr. Simeons, attributes the omission of mushrooms to the idea that certain fruits and vegetables may disrupt the delicate process of weight loss. According Dr. Simeons' original manuscript, there are a number of foods that have equal or even lower calorie content compared to the foods that are permitted. However, the experiments he had conducted with the diet showed certain low-calorie foods interfered with the fat-releasing process and consequently, weight loss. Any food not on the advised list will add more macronutrients that will fuel the body, stopping its need to release stored fat. The body then does not lose weight since it does not break down any stored fat. Mushrooms are one of the foods Dr. Simeons found that slowed weight loss in Phase 2, so he disallows them on the diet. One of the main reasons mushrooms are a staple in numerous dishes is because of their abundance of umami, which is categorized as a taste that presents a meaty, savory flavor that adds more impact in dishes. Fortunately for hCG dieters that are looking for umami, even if mushrooms are banned in the diet, there are foods and flavorings with umami that are also hCG diet-friendly. Cook chicken breast meat or lean ground beef as a substitute for mushrooms. So instead of mushrooms in an omelet or pasta, for example, add grilled chicken breast. Add condiments like Worcestershire sauce and soy sauce, which pack in the umami flavor in soups, stews, and marinades. This is great in a stew, for example, where the mushrooms may add umami to make it more savory. Be sure to find a brand without added sugars or fat. Asparagus is a vegetable with excellent umami flavor. Grill it so it caramelizes on the outside and add it to a dish, such as a salad or a frittata. Tomato paste also has lots of umami. To really up the flavor, warm it in a pan to brown it slightly. This works well in soups, stews, and sauces in particular, where mushrooms add lots of flavor. Brown a tablespoon of tomato sauce with the vegetables before adding stock to a vegetable soup, for instance. Standard hCG diet procedures still apply on these foods. For example, weigh proteins when raw, not when cooked and trim all visible fat. Many people find the food restrictions on the hCG diet tedious, but this doesn't have to be the case. Even if you are a mushroom lover, you can substitute various ingredients for an umami flavor so delicious, you won't miss mushrooms at all.